Does My Child Really Need a Custom Mouthguard? 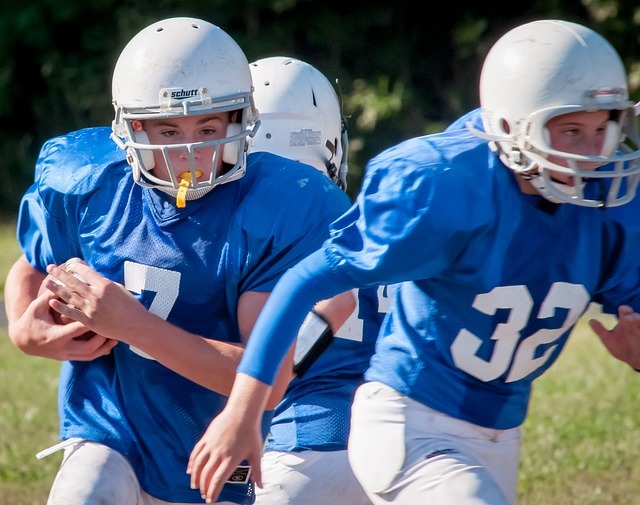 Fall sports are well underway with the most popular sports—soccer, football, lacrosse, and wrestling—all requiring a mouthguard for your child’s participation. When it comes to purchasing the right mouthguard for your child, how can you be sure that you’re getting the right one? Of course, there are the mouthguards from sporting stores that cost little and allow you to boil the mouthguard and attempt to mold it to your child’s bite. But do these mouthguards provide everything your child needs to have a safe and fun sport season? Unfortunately, many parents realize too late that a store-bought mouthguard doesn’t provide adequate protection for their child. Your child’s mouth isn’t the same as another person’s, so the mouthguard they need won’t be the same either. In order to fully protect your child’s mouth, here’s why you need to consider a custom mouthguard. Custom mouthguards are able to help protect each and every one of your child’s teeth. They help to shield the teeth and the jaw from absorbing an impact during an accident, making each and every tooth less likely to be harmed by an injury. With store-bought mouthguards, you’re trusting your child’s teeth to a device that wasn’t made for them. With a cheaper mouthguard comes sub-optimal protection. You won’t be able to protect your child’s jaw and teeth from an injury with a mouthguard that wasn’t made to protect them specifically. If your child has braces, protecting their smile is even more important. In the event of an injury—a fall or even a blow to the face or head—the brackets and wires can actually cut your child’s mouth and require stitches in severe cases. Any orthodontic work including braces and retainers can be fully protected with a custom mouthguard. The right mouthguard will shield your child’s gums from the metal braces in the event of an impact, saving you a trip to the emergency room and keeping your child safe to continue playing sports even with their orthodontic work. When you invest in a custom mouthguard, your Asheville dentist ensures that the fit is the right one to protect your child. Dr. Saunders will take an impression of your child’s teeth, creating an accurate model which will serve as the foundation for creating your child’s perfect mouthguard. Once the mouthguard is ready, Dr. Saunders will be sure it fits your child for optimum protection. Picking up a mouthguard at the store seems harmless, but in reality, it could actually be dangerous for your child. Many of these mouthguards are too bulky to be the right size, meaning your child will have to keep their mouth closed to hold the mouthguard in. An ill-fitting mouthguard can not only make speaking difficult, it can make breathing difficult as well. Not being able to speak and breathe properly can be frightening and limiting during sports when adequate breathing is required for children to play their best and have fun. Custom mouthguards allow your child to breathe, speak, and even swallow properly, therefore allowing them to do their best and have fun with their friends without worrying about accommodating a bulky mouthguard or suffering a tooth injury by going without. The American Dental Association recommends that both children and adults wear proper-fitting mouthguards in any sport where there’s a risk for injury! Since a custom mouthguard is made to fit your child’s teeth, there’s no excess material. The result is just a comfortable device that protects your child’s mouth. Having the correct fit makes it more likely that your child will actually wear his or her mouthguard. In addition, getting a custom mouthguard for your child when they’re young will allow them to get more familiar with the mouthguard and have a positive experience with these essential devices early on, making sports and other forms of exercise fun and safe. Getting a custom mouthguard allows your child to choose their favorite design or color with your Asheville dentist. You can get your child excited about wearing their personalized equipment while also reducing the chances that your child will miss a practice or a game. By helping to prevent teeth and jaw injuries, you allow your child to attend every game and not miss a moment! When you properly protect your child’s smile during sports, you may actually be able to reduce their chances of suffering from a concussion. Tentative research shows that mouthguards can help to absorb the impact of a blow and may actually be able to stop a concussion from happening. Although the research isn’t conclusive at this time, it never hurts to protect your child’s teeth and help prevent a severe sporting accident from affecting their jaw or skull with a custom mouthguard. A custom mouthguard can help cut down on dental costs and reconstructive services that may come with a cheap mouthguard. Consider the cost of emergency services due to knocked out teeth or stitches, not to mention the restorative work that will need to happen afterward for tooth injuries. You can protect your child’s teeth in addition to any restorative work they may already have. Braces, retainers, or cosmetic work can be expensive to repair. Keep your bills down with one smart investment in a custom mouthguard! If you’ve decided to consider your options for custom mouthguards, the process is simple. First, you’ll need to schedule a consultation with your dentist in Asheville to see if you can get a custom mouthguard for your child. You’ll need to tell your dentist what sport the mouthguard will be used for. Sports such as football and boxing will need to be thicker than mouthguards for sports such as tennis. It’ll also be important to inform your Asheville dentist of any previous restorative work your child may have had done or if your child is planning on getting braces in the future. Once your dentist is able to take impressions of your child’s teeth, you’re on your way to getting a custom-fit mouthguard to fully protect your child’s smile during their sport so the whole family can enjoy the season without worrying about a tooth injury. If you’re in the Asheville area, make an appointment with us at Saunders DDS to get your child fitted for a custom mouthguard. Investing in a custom mouthguard for your child can not only help prevent injury, but can make the sport season more enjoyable for everyone!